These contact lenses are designed to provide 30 days of excellent vision and comfort. 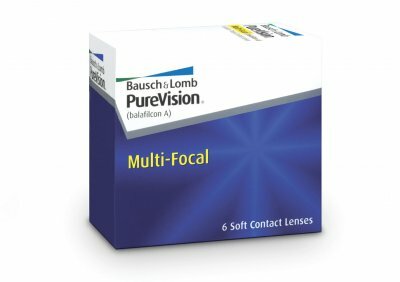 PureVision Multi-Focal contact lenses allow you to stay in your contacts instead of moving to reading glasses or bifocals. Their unique optical design lets your eyes focus naturally, effortlessly, at all distances; near, far, and everywhere in between. These lenses will help you if you are having trouble reading things up close, due to the onset of a naturally occurring vision condition that begins to affect most people in their 40s.